Portable and also robust, the IMAGO scanner is a summary of high technologies in the service of field veterinarians. You benefit from an exceptional image quality that allows you a fast and reliable diagnosis. 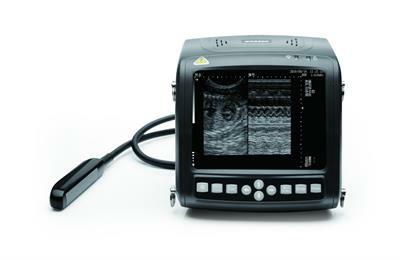 The ultrasound WED-3000V is the ideal tool for veterinarians in their dual work in the field or in the office. Ultrasound scanner with a small LCD display 5', intuitive menu and removable long-life battery. Portable and also sturdy, the IMAGO scanner is a combination of high technologies in the service of field veterinarians. You benefit from an exceptional image quality that allows you a fast and reliable diagnosis. Wherever you use this portable veterinary ultrasound scanner, you benefit from an excellent image quality. Due to its wide range of multi-frequency probes, the ExaGo efficiently meets all your required applications. Thanks to the new interface system Echotouch, only the necessary functions are present on the screen, making the work of the user faster and more efiicient. The advanced settings remain of simple access as well. By Carelife Medical Technology Co.,Ltd. based in Zhuhai , CHINA. Gel for ultrasound transmission, not irritate and is water-soluble. By KAIXIN ELECTRONIC INSTRUMENT CO. ,LTD based in Xuzhou,Jiangsu, CHINA. The ultrasound digital handheld is the optimal solution for use in pig and sheep and goats breeding for the diagnosis of pregnancy.